Artificial Eye has just sent over a set of images and trailer for their upcoming film, The Woman In The Fifth. A captivating thriller, THE WOMAN IN THE FIFTH tells the gripping story of an American professor who relocates to Paris to win back his wife and daughter but finds himself falling for the charms of a mysterious siren. 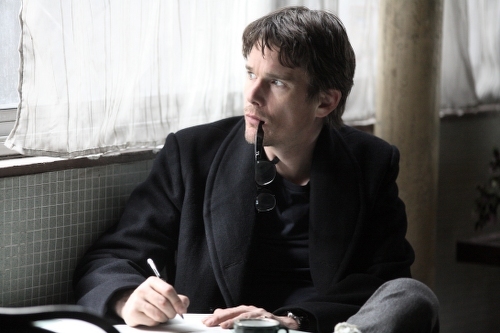 Directed by BAFTA Award-winner Pawel Pawlikowski (My Summer of Love), the film stars Academy Award®nominee Kristin Scott Thomas (Sarah’s Key; Nowhere Boy) and Academy Award®nominee Ethan Hawke (Before Sunset; Dead Poets Society) and is based on the bestselling novel of the same name by Douglas Kennedy. 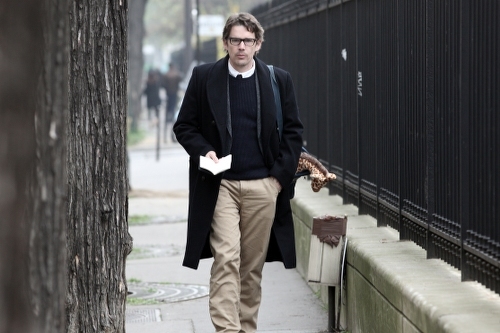 American writer Tom Ricks (Ethan Hawke) comes to Paris desperate to put his life together again and win back the love of his estranged wife and daughter. When things don’t go according to plan, he ends up in a shady hotel in the suburbs, having to work as a night guard to make ends meet. 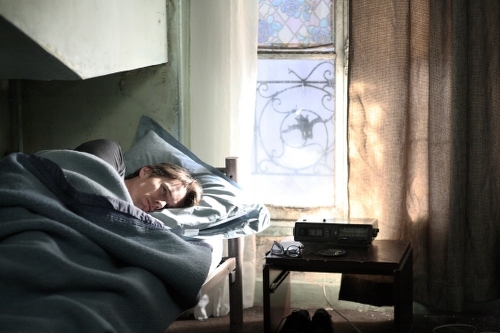 Then, Margit (Kristin Scott Thomas), a beautiful, mysterious stranger walks into his life and things start looking up. Their passionate and intense relationship triggers a string of inexplicable and dangerous events that threaten both Tom and his daughter… as if an obscure power was taking control of his life.